Research conducted by Avonmore concluded that half of Irish holidaymakers are most concerned about having no milk in the fridge when returning home to Ireland from a summer holiday. Prompted by this research, Avonmore decided to run a geo-targeted mobile coupons campaign at Dublin Airport during the summer of 2013, giving away 20,000 litres of free milk to returning holidaymakers. Púca was asked to provide ‘one-time-use’ mobile voucher code that could be validated at SPAR shops at the Airport – this would ensure stock availability as well as provide redemption statistics to Avonmore on the success of the campaign. Púca collaborated with O2 media who sent opted-in O2 customers arriving back to Dublin Airport a geo-targeted SMS message containing the offer description and individual unique codes. This voucher code entitled each recipient to a free carton of Avonmore milk at any SPAR shop at the airport. Púca’s ‘smart codes’ platform was used as the backend of the promotion and this provided the unique mobile voucher codes which were inserted in the SMS by O2 Media. 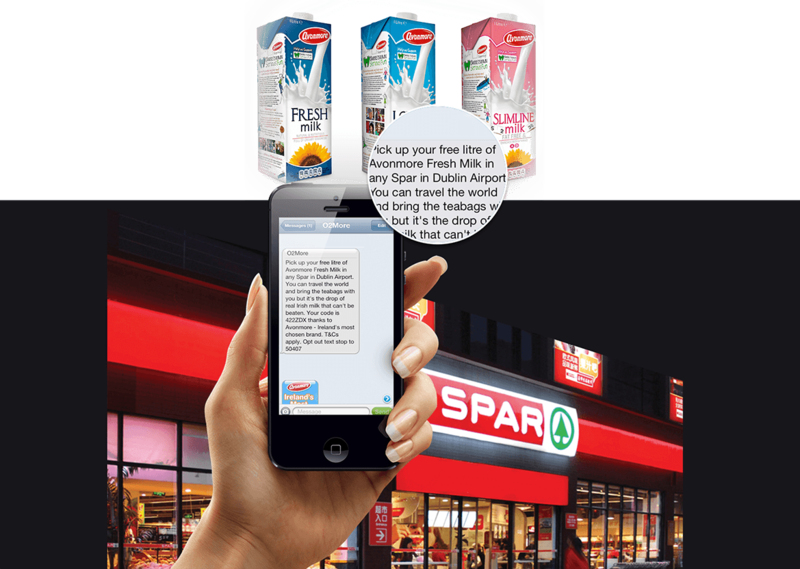 A customised mobile vouchers scanner app was supplied to each SPAR store to easily validate and redeem the unique codes in real time. The promotion was very effective in driving consumers in-store and providing a seamless user experience. An average redemption rate of 2.9% was achieved. Redemption rates were up over 40% compared to similar promotions where a single “offer code” was used. Avonmore had real-time access to redemption statistics by location, enabling them to manage stock accordingly.